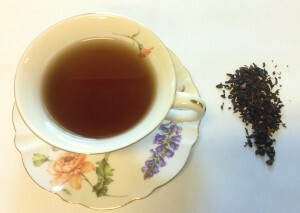 Chocolate Truffle Tango Tea from Thistle Dew! Some teas make their way to me. A friend was kind enough to bring me some of this tea from Gatlinburg, TN. First of all, I got a chuckle from the name of the shop. Thistle Dew! Creative, inventive things make me happy. So does good tea. This particular tea is called Chocolate Truffle Tango. It tastes like Christmas married Valentine’s Day. The chocolate is there but it’s a subtle undertone. The cinnamon is more prominent and there may be a bit of nutmeg. This makes sense since Thistle Dew! is not only a tea shop but also carries organic herbs and spices. Check them out if you’re in Gatlinburg.